Aside from Penny Stocks, I have also been heavily involved with Cryptocurrencies these past few years and now I'm excited to create a whole new page dedicated to just that. Just like Penny Stocks, there are many Cryptocurrencies out there to trade. 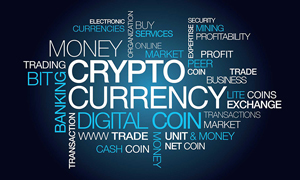 Incase you didn't buy BitCoin when it was considerably lower, it is not too late to get into the Cryptocurrencies. In fact, it's never been a better time!